Do I need an Interior Designer for my project? First off, no two projects are alike so it is different for everyone, only you can decide whether or not you need an interior designer. But, proper planning and material selection eliminates costly re-work. Interiors designers aren't there to tell you what you like and don't like. Designers guide you to make good decisions for both functional and aesthetic reasons. Experienced, educated, objective, designers can often provide solutions which may not have occurred to you. Do you lack confidence in your ability to do the project yourself? Do you worry about making expensive mistakes? Do you have the time to do the work and research? Do you have the vendor resources? Do you know how to manage the project and communicate your design ideas to a team of professionals to help you create the end result you want? If you answered 'No' to any of these (ok except the first one) then you probably need a designer. I think I want to work with a designer, but where do I start? Start by asking friends, relatives and co-workers. Realtors are good contacts as well. I get 90% of my business from referrals. 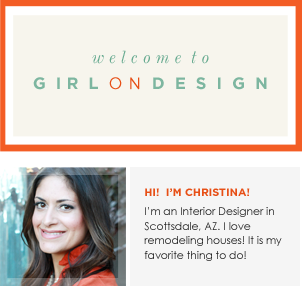 You can also go to www.ASID.org and find the local chapter near you. Most designers who have design education, experience and take their career seriously are members of ASID....also, I'm for hire. Fees vary from designer to designer, some charge a hourly rate, others charge a flat fee, some charge a mixture of both. Rates vary from $75-$300 per hour depending on location and experience. Often designers can purchase items at a wholesale or discounted rate and they will pass some of the saving along to you the client. I, for example, meet with the client for a 1-2 hour consultation to understand the scope of work. Then, I put together a proposal for a flat fee. I base it on past experience, the hours I think it will take and what I've learned from our first meeting. The flat fee is for the design only, then I charge my cost +10% on any products purchased through me. Man that design fee seems high! Can't I pick out my bathroom's tile? but have you really thought about it? Have you spent hours looking though different samples, considering all the possibilities? Have you thought about the maintenance and installation issues? Is that tile too dark for your bathroom? Is it going to look the same installed as it does in this sample? Does that tile "go" with the other tile you like? A designer's job may seem foofy(official design term) to some (especially husbands, they usually are the firsts to shoot down a designers assistance), but there is a LOT involved in selecting just one item. Now imagine a whole room or a whole house. believe you me there was an immense amount of time ruling out and ruling in each and every selection. More than your first budget. More than you saw on that dime design HGTV show. More than what you spent on your bathroom in 1998. More than your husband's guesstimate. I don't have enough fingers and toes to count the number of times clients are sticker shocked by how much remodels cost. The bottom line is it all adds up. $100 here...$50 there...and BAM! you've Emeril Lagasse'd your $25,000 bathroom remodel to $30,000 before you can say HGTV. a designer is there to help you meet your budget. Maybe you've started with unrealistic expectations, but with expert help, experienced advice, great ideas and a little old fashioned compromise you can achieve the bathroom of your dreams.